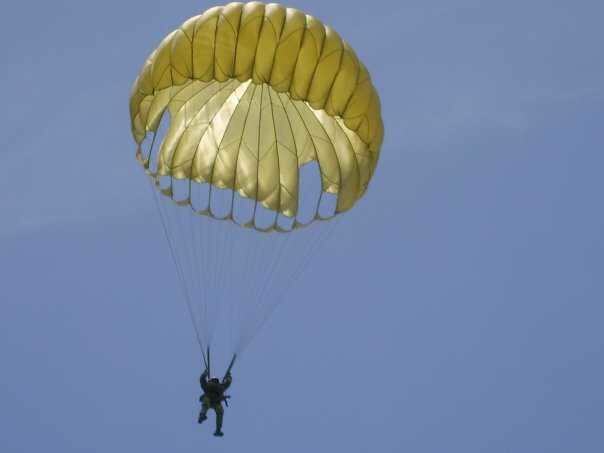 An airman with the Nigerian Air Force (NAF), Corporal Meshach Iliya Komo, on Sunday died in a parachutting accident which occurred in Kaduna. A statement issued by NAF Director of Public Relations and Information, Air Commodore Ibikunle Daramola, read thus: “Nigerian Air force is sad to announce the passing of one of its airmen, Corporal Meshach Iliya Komo, who died in Kaduna today, 14 April 2019, in a parachuting accident during recurrency training. It would be recalled that another airmen recently died when his head was cut-off by an helicopter blade in Borno.